The spread of dishes on Thanksgiving is impressive. Turkey, stuffing, gravy, pies, potatoes, bread rolls all crowding the table with plenty of opportunity for seconds (or thirds!) We believe that sometimes, you just have to indulge a little while being mindful of portions. However, if you are looking for the healthiest possible way to approach T-Day, check out these three easy swaps. A bowl of traditional mashed potatoes serving 8 people typically contains 2 lbs of butter and 2 cups of buttermilk. That means each person is eating ½ stick of butter plus ½ a cup of buttermilk in addition to the actual potatoes. The casserole on the other hand uses beta-carotene and fiber rich sweet potatoes. A typical recipe serves 8 people and only uses 4 Tbsp. butter and ½ cup milk. Plus, the fiber in sweet potato will help keep the cravings down later in the evening. A casserole DOES typically use brown sugar, but it ends up being only around ½ Tbsp. per person. The topping may have extra sugar or butter, depending on the recipe, but you can just scoop from the bottom of the pan to get less of the sugary topping. Both of these iconic Thanksgiving sauces taste ah-maze when drizzled on slices of turkey or poured over roasted veggies. Although cranberry sauce seems like the healthier choice, gravy actually might pull ahead on this one. Cranberry sauce uses large amounts of sugar to create the consistency. Because of that, it comes in at about 100 calories and 22 grams of sugar per ¼ cup serving. Turkey gravy, on the other hand, has about 30 calories and 3g of sugar per ¼ cup serving. Plus, it gets the majority of flavor from herbs and onions instead of sugar. The dessert table is always packed with various sweets, but there are definitely better-for-your-bod options. Both traditional pumpkin and pecan pie contain high amounts of sugar. A typical recipe for pecan pie uses corn syrup and cane sugar as it’s base while pumpkin pie uses sweetened condensed milk. However, on average, pecan pie will contain 10 grams of extra sugar per slice. 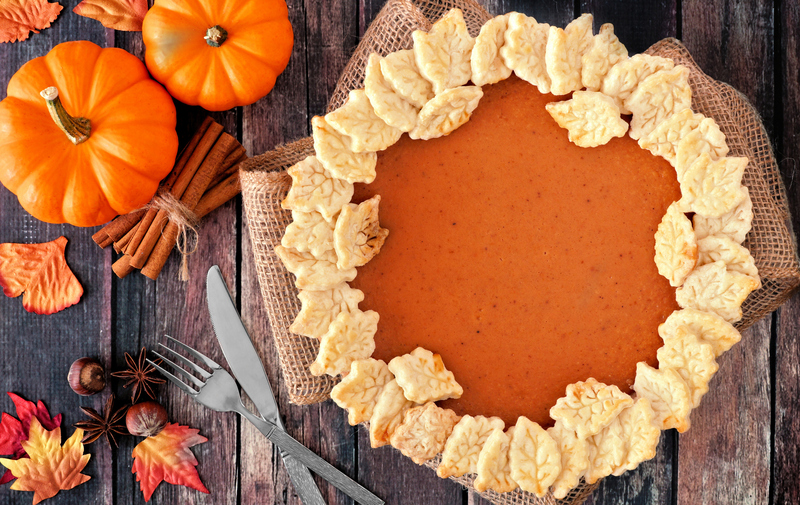 If you’re craving both of these tasty treats, try out our good for your bod pecan pie and pumpkin pie recipes. Karena Dawn and Katrina Scott are certified personal trainers and nutritional coaches. Want info on how to give your body what it needs all year long!? Check out our Tone It Up Nutrition Plan! As a member, you gain access to thousands of deee-lish recipes to help you reach your fitness goals.